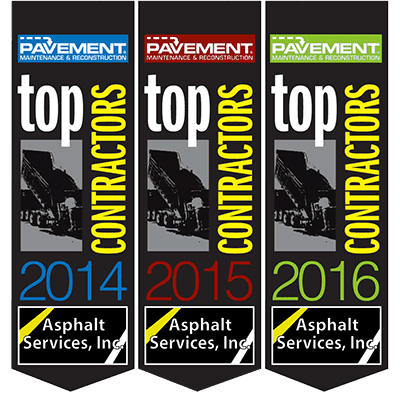 We are a family owned and operated business that provides commercial paving and residential paving services for over 30 years. We have grown into the region’s most versatile and successful full service paving and site work operation. We’re always looking for energetic, dependable, persistent and customer-focused professionals to join our team. Check out our open positions below. Don’t see a good fit, but think you still got what it takes? Contact us today. Summary: Assist in the tasks associated with the construction of asphalt pavement on highways, streets, and parking lots. Assist minor equipment maintenance and cleaning of the construction equipment. Must have the ability to operate asphalt paving equipment and be able to labor for paving crew. This job requires night and weekend work often. Candidate must have a flexible schedule. We offer paid vacation, 401K and health insurance. If interested please call 781-938-6800 to schedule a time to come in and fill out an application. We are looking for experienced class A & B drivers to operate our low bed trailers, tri axle dump, and trailer dumps. Please have experience with driving these types of trucks. Persons applying for low bed must have experience in operating heavy machinery, it is required to load equipment onto low bed. Determines condition of vehicle by inspecting vehicle before and after use; logging inspection; reporting requirements. Ensures correct loading of vehicle by loading product or material; directing material handlers. Delivers product or material to destination by identifying destination; selecting route; driving the vehicle. Maintains safe vehicle and conditions and protects load by complying with organization policies and procedures and highway rules and regulations. If interested please contact us at 781-938-6800 to fill out an application or forward your resume. Asphalt Services, Inc. is looking for a top notch heavy duty equipment mechanic. This is a full time position with hours ranging from 40-50 per week. The heavy equipment mechanic will be responsible for vehicle inspections, preventative maintenance, correcting vehicle deficiencies, road service calls and thorough record keeping. Established paving company seeking experienced milling and or paving foreman. The Foreman will provide overall on-site leadership and oversee the milling operations, safety and quality assurance. Operate the milling equipment to facilitate alignment, movement, or adjustment of machinery, equipment, or materials. Preparation of daily time cards and field diaries. Minimum of 3 years of experience in construction of asphalt pavements. Technical skills in asphalt paving and milling operations. Valid driver’s license issued within the United States clear of multiple and/or major violations..
Must be willing to travel to job sites outside of the state. Must be willing to work overtime, weekends or nights. Competitive salaries depending on experience, lots of overtime potential and prevailing wage (Davis Bacon) rates my apply for certain jobs. We offer health insurance, vacation pay and 401K. Vacation and 401k are offered after 1-year of continuous full-time employment. Works closely and oversee the skilled workers on the crew.